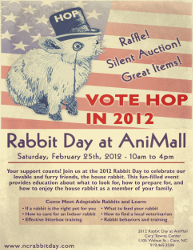 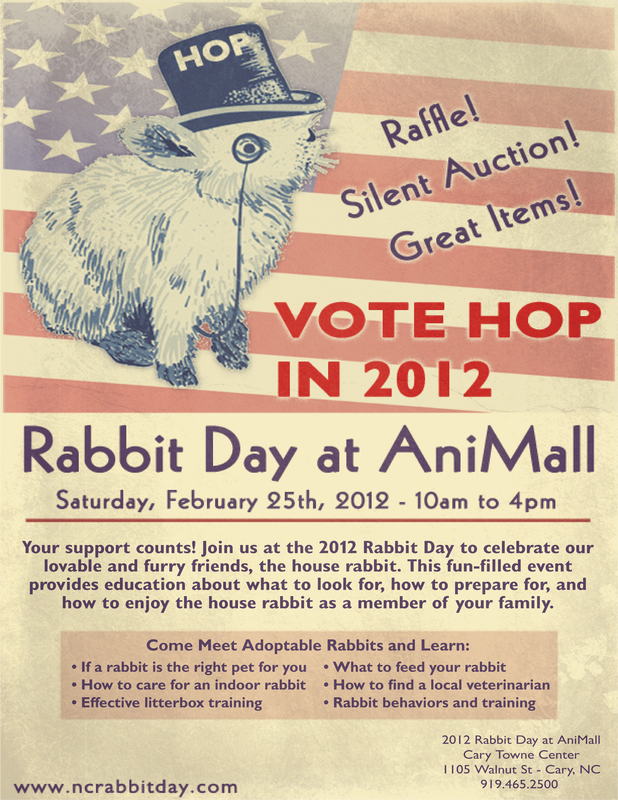 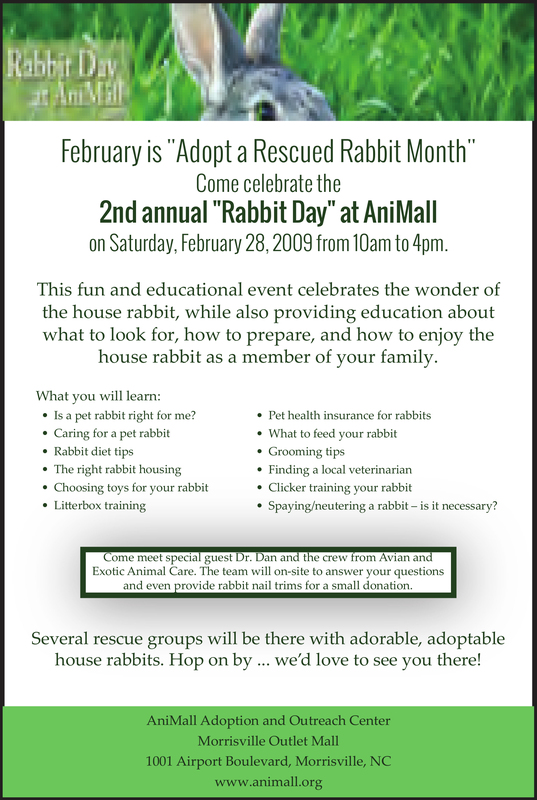 Rabbit Day was created in 2008 by Triangle Rabbits and AniMall located in North Carolina. 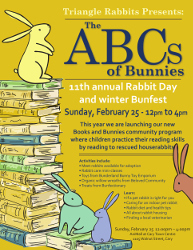 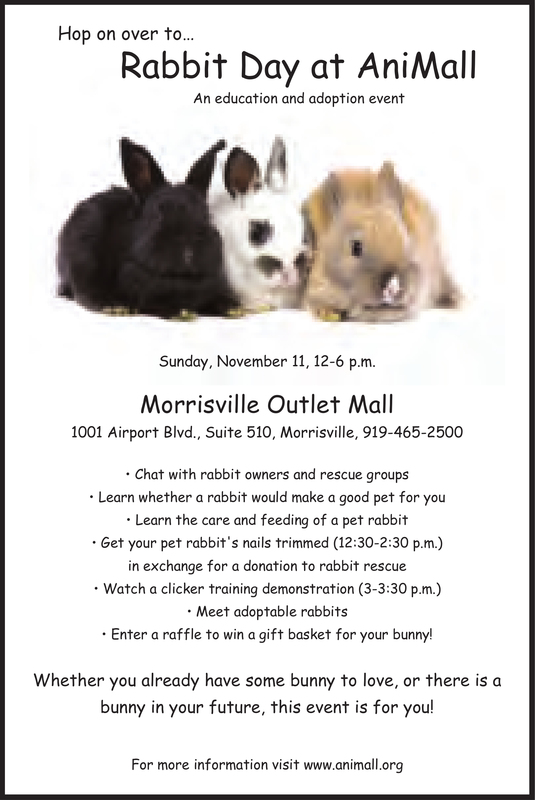 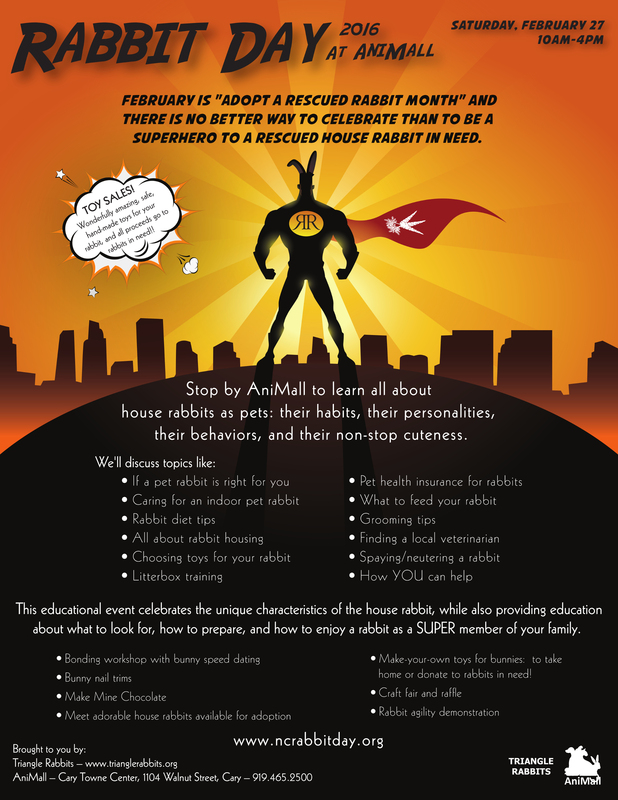 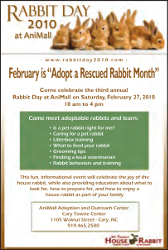 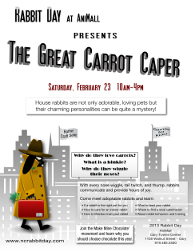 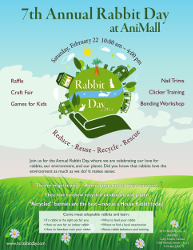 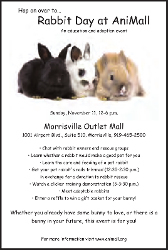 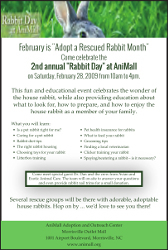 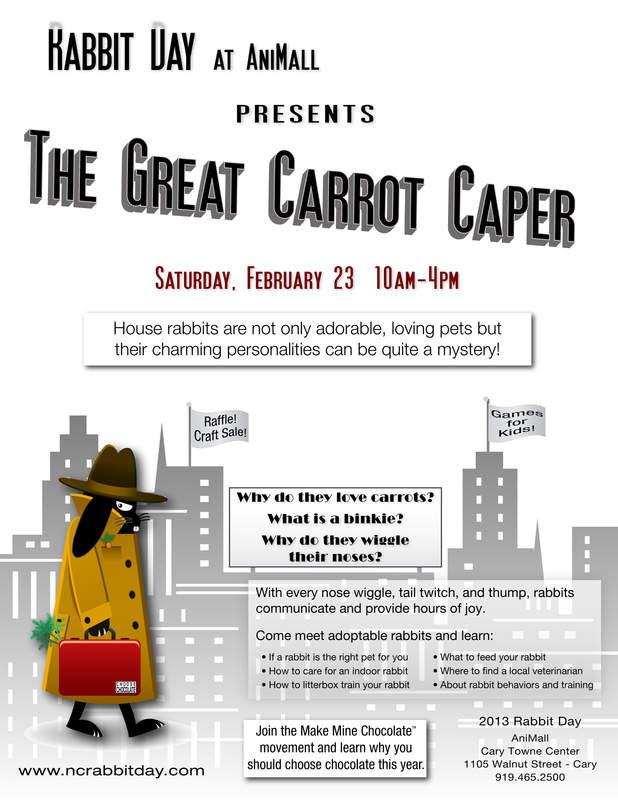 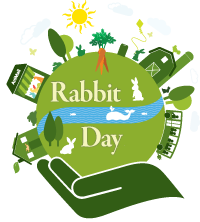 The day was started as annual Rabbit Day to inform, educate and introduce people to the joy of house rabbits as pets, and to celebrate "Adopt a Rescued Rabbit Month" for the month of February. 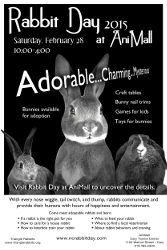 Celebrated on the last Saturday (or Sunday) in February. Page © 2014-2019 RCR. 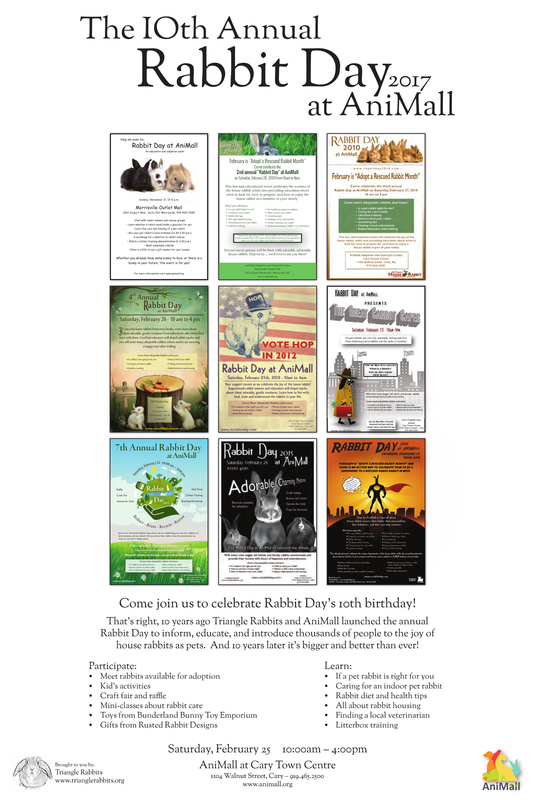 Page hits: 1705 since February 28th, 2014. 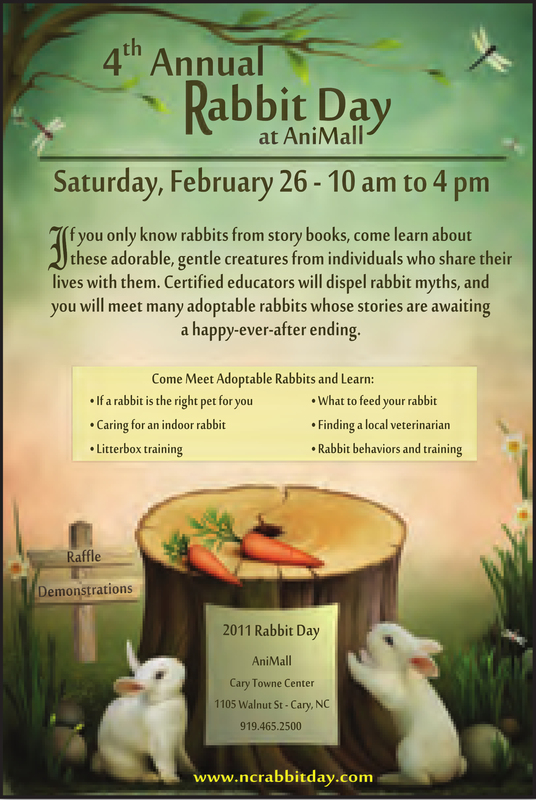 Thanks to Tracy Ramsey Meadows for the 2018 flyer!